(136) Going fast! Half Day Trip 4 bookings in the past week. Capt. 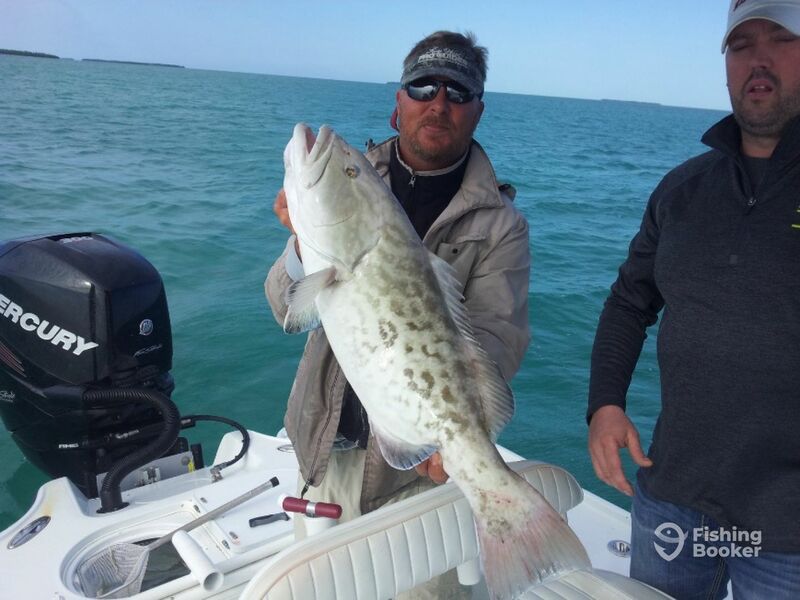 John Jackson operates a professional fishing guide service from Hurricane Hole Marina, Key West. 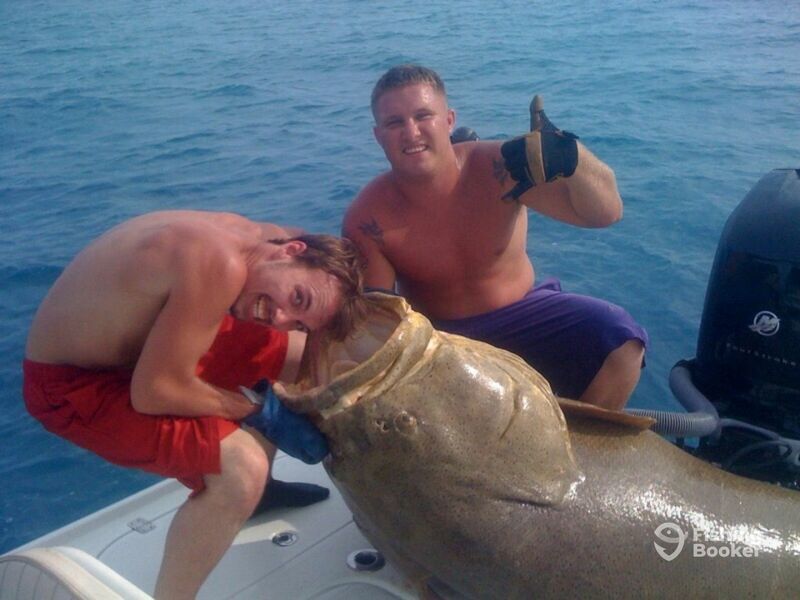 He was raised on Sugarloaf Key and has been fishing the area for over thirty years. 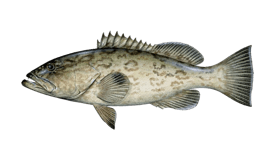 While he is experienced in fishing for all the local species, Capt. 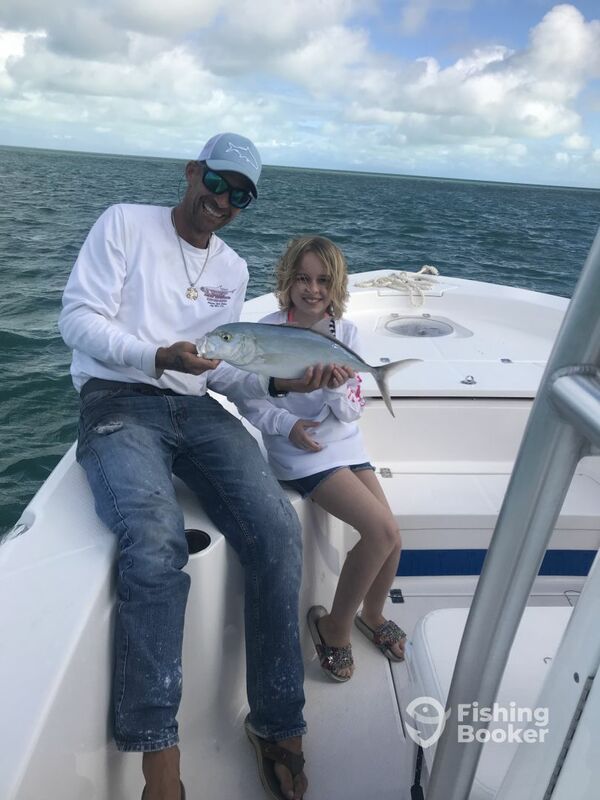 John specializes in fishing for Permit and Tarpon, and offers guided fishing trips for anglers of all levels of ability to target these species and more. Capt. John fishes aboard a 24ft Yellowfin powered by a 300 HP Mercury Verado engine. 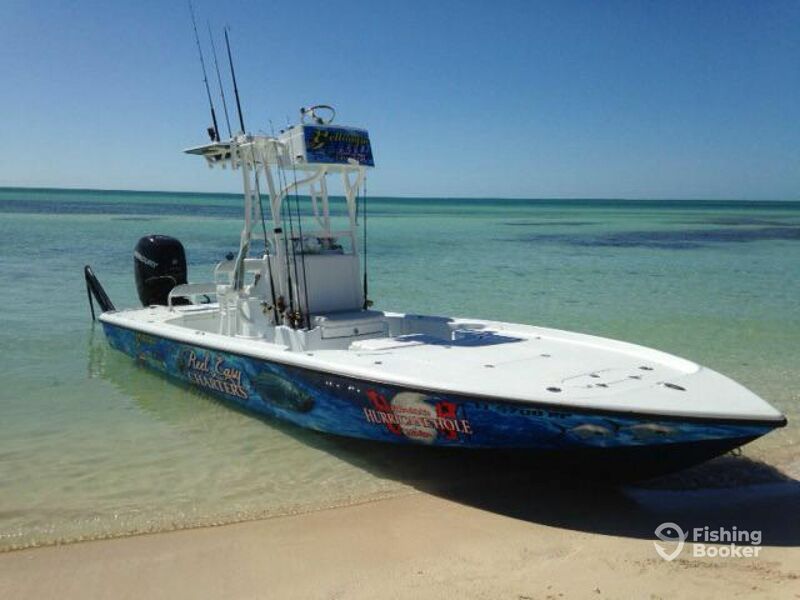 This is the perfect combination for speedy and agile fishing in a variety of waters, as the Verado is so quiet you can even fish for spooky species such as Tarpon and Permit while the motor is still running. 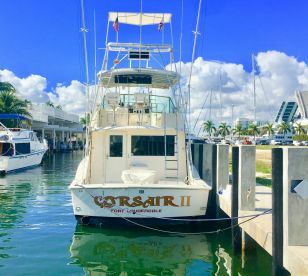 Equipped with twin livewells, a built in cooler and a 10ft Power Pole anchoring system, the boat has everything on board to ensure a successful fishing trip. 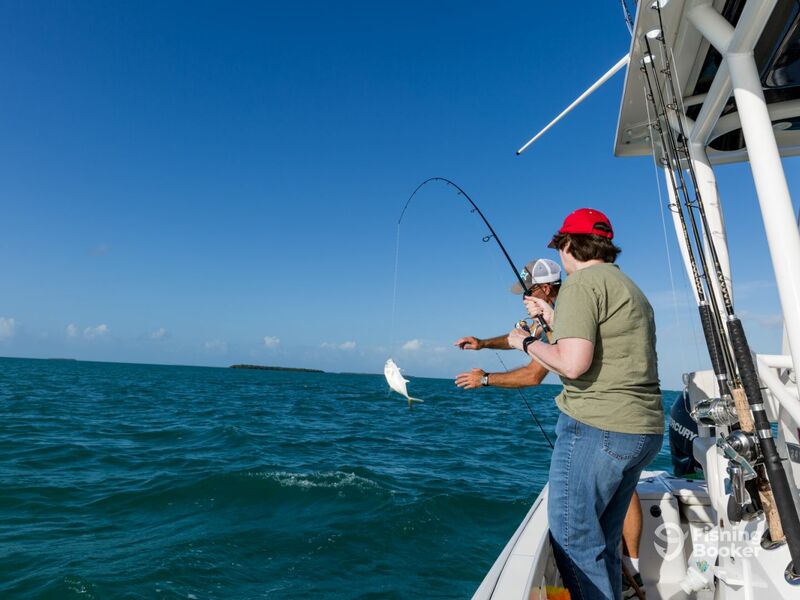 You can practice a variety of different fishing styles with Capt. 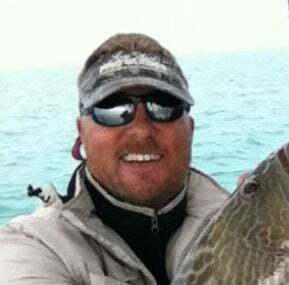 John, who offers calm water backcountry fishing for anglers of all ages, as well as reef and wreck and offshore trips. 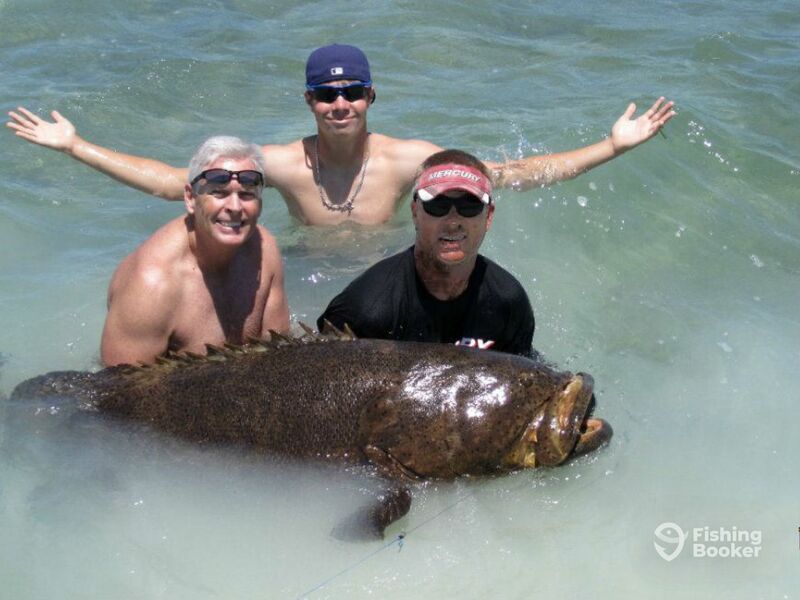 Most of the fishing takes place in the flats, the bays and the Gulf of Mexico. 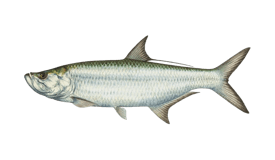 While he’s happy to instruct anglers in a variety of techniques, John personally prefers to use spinning gear with live bait such as mullet, pilchards, crabs and other white bait. 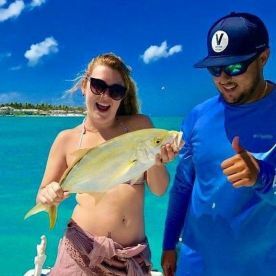 He suggests that April, May and June are the best time to fish for Permit and Tarpon, and this is generally a very good time to fish the offshore and nearshore (reef) areas. 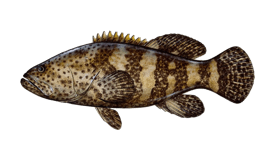 In the winter many of the most productive trips take place in the backcountry, where Redfish, Snook and Trout thrive. Capt. 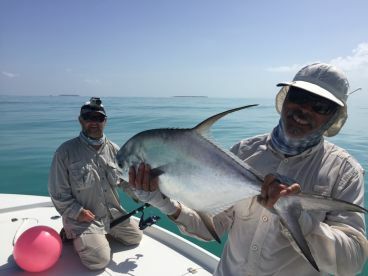 John offers you the opportunity to fish like a local with a local. He provides an honest and truthful service to his clients, catering for all abilities from beginner to pro fisherman. 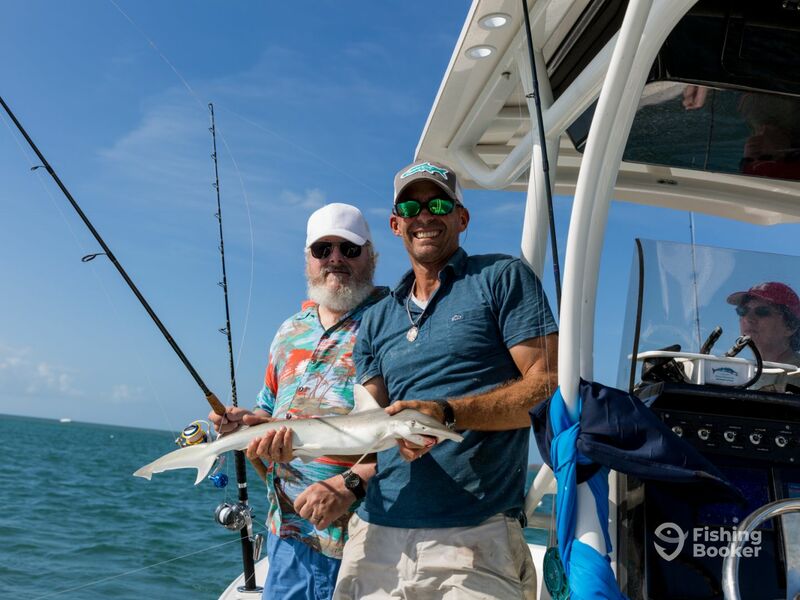 He has competed in fishing tournaments and knows the area very well, having been educated at Key West High School class of 87. Want to get the most of your day? 'Sun up 2 sun down' will let you do exactly that. This is 12 hours for you to do whatever you want on the water. You and your guide will customize your trip to suit you. 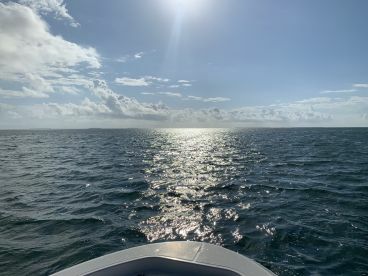 Offshore fishing early morning, Permit fishing mid day, snorkeling the reef in the early afternoon and finishing up with sunset Tarpon fishing... Who says you can't do it all in one day! 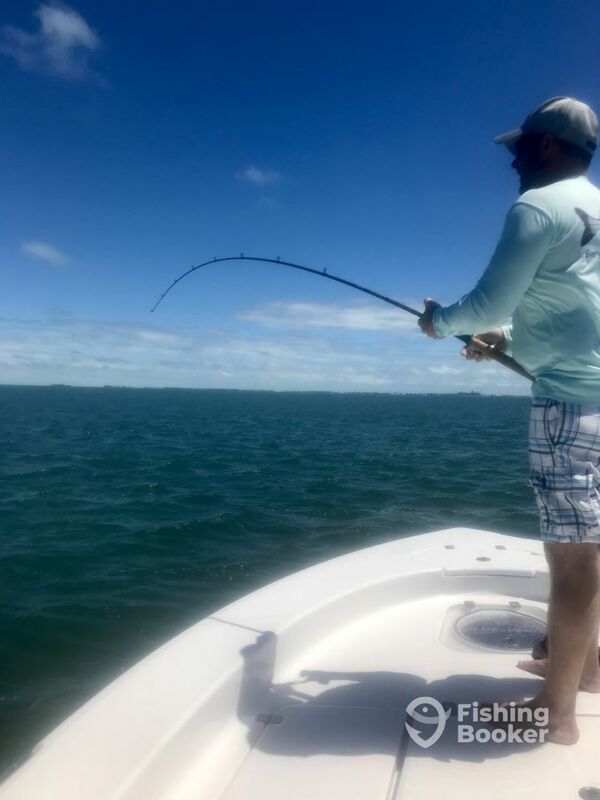 Two Tarpon fishing trips in one day! 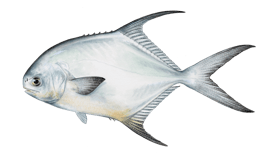 Target the Silver King at the times when you're most likely to catch him, in the early morning and at sunset. Trips take place 7am-11am and 5pm-9pm. 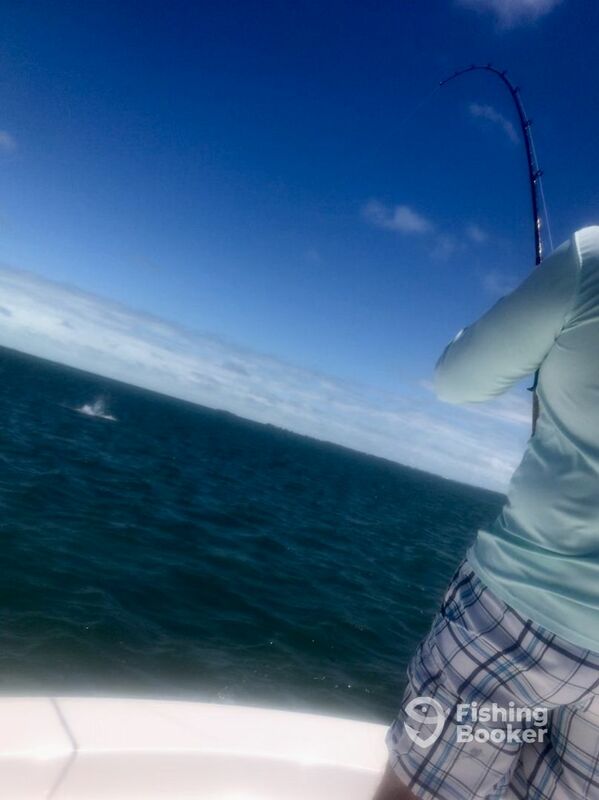 This is Tarpon fishing at its best! 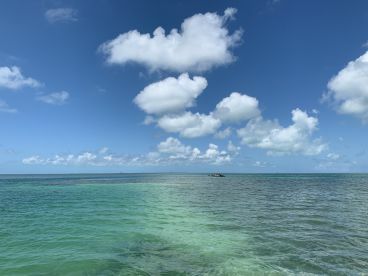 Travel out to the beautiful Marquesas Keys and beyond for a full day of shallow water wreck fishing for species such as Snapper, Grouper, Amberjacks and more. 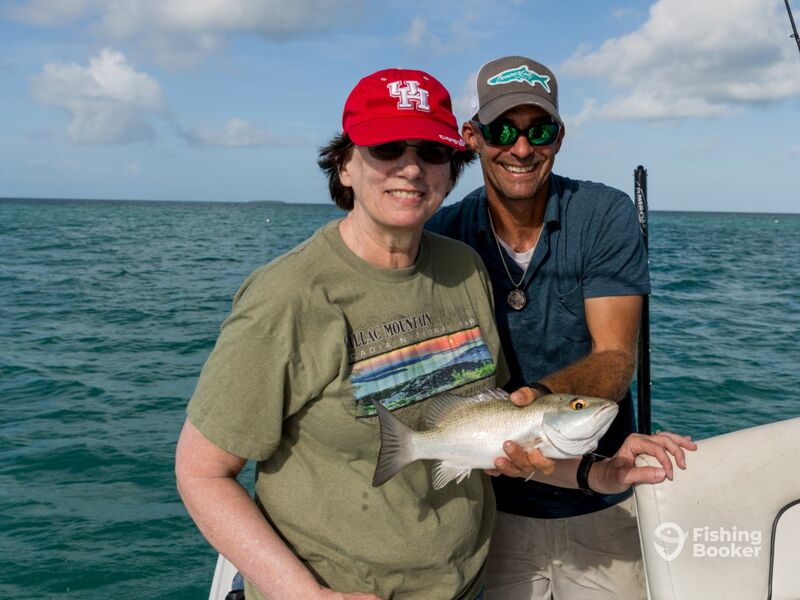 Target Tarpon, Permit, Cobia, Snapper, Sharks, Barracuda and more in the nearshore waters and reefs. 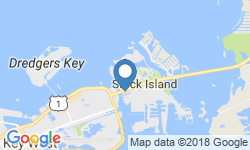 Professional fishing trip in the nearshore areas around Key West. 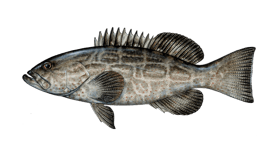 Target a variety of species including Grouper, Snapper, Sharks, Permit and more. 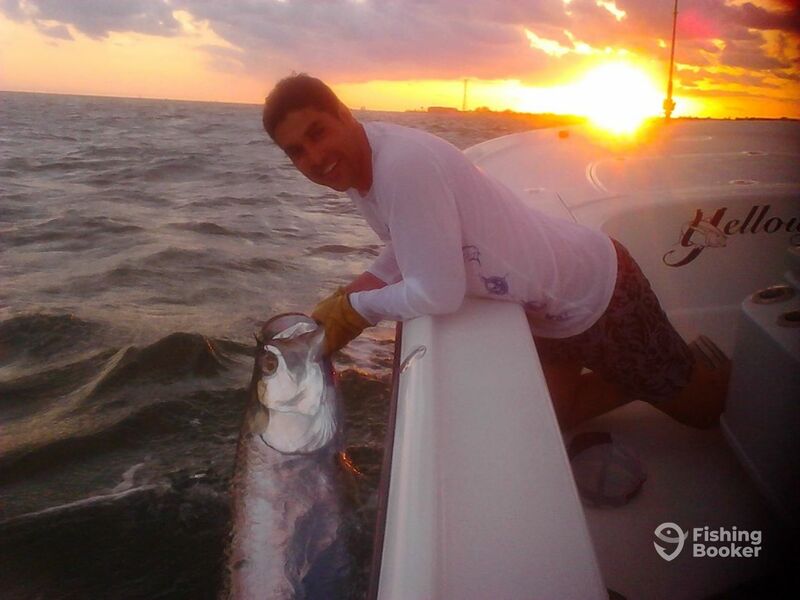 Is Tarpon at the top of your bucket list? This trip offers you the best time and place to make that dream a reality. 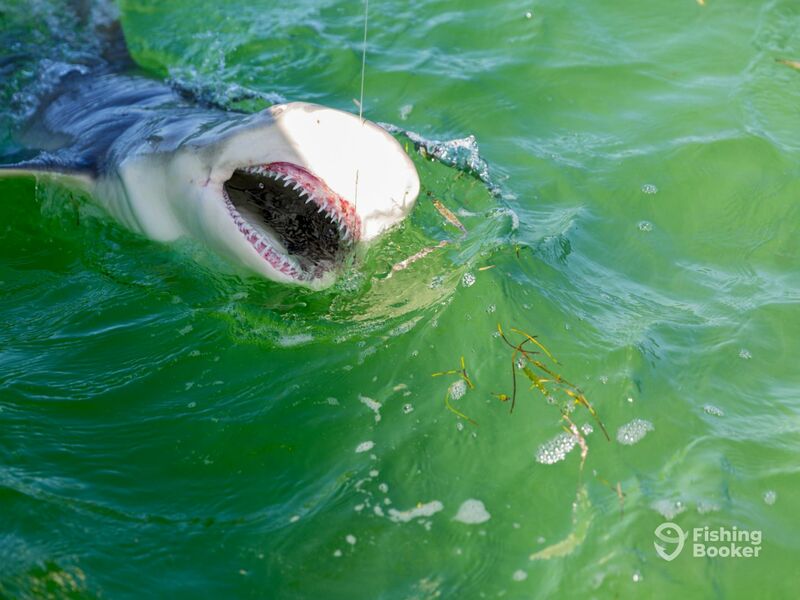 Available March through August, this trip takes place late afternoon through sunset when the tarpon are biting! 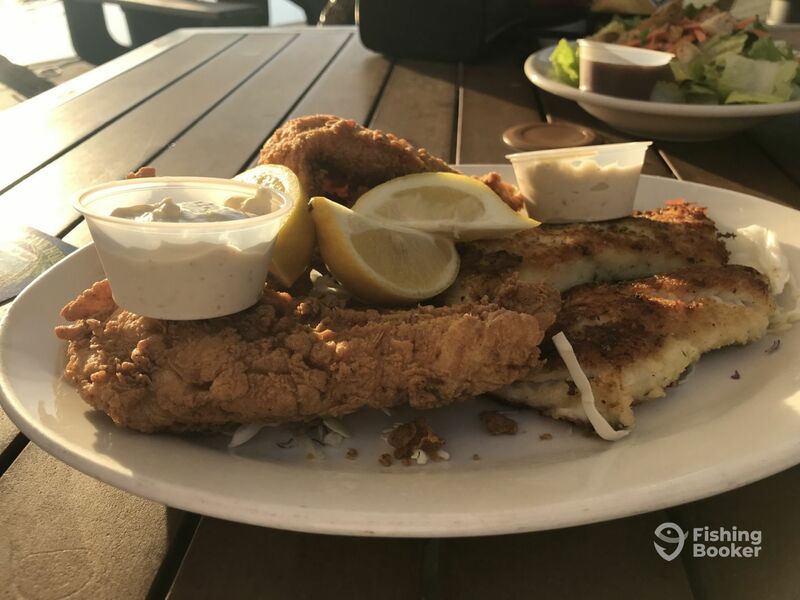 afternoon trips depart the dock at 1pm and return at 5pm just in time for your captain to clean your fish and get them to our on site restaurant for dinner. great for those people that may not be morning people or who want to sleep in while on vacation. Yellowfin (Bay boat) originally built in 2014. Powered by a 300HP Mercury verado 300 pro engine, with a maximum cruising speed of 40 knots. 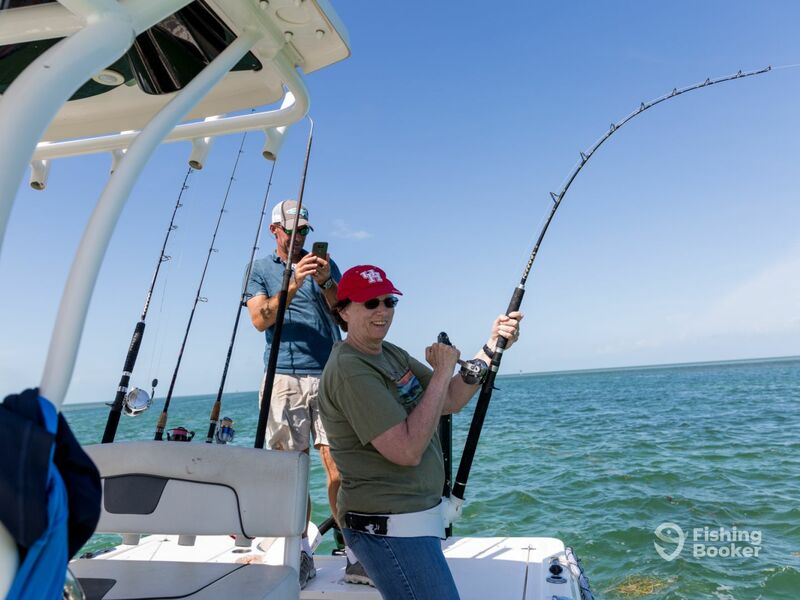 Born and raised in the Florida Keys, I learned to fish at an early age. Fishing and diving became my second nature. First, I started working as a commercial fisherman and then added being a professional guide to my resume. I'm a third generation captain and professional guide. I've proved my skill in various tournaments. 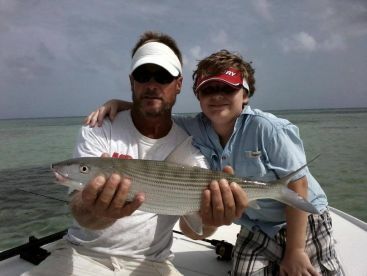 My goal was to get my son on a tarpon. Unfortunately a cold front came through the night before and shut down the tarpon fishing. Captain Chris was spot on with his opinion of this but to appease me we still went to look and see if we could find them. 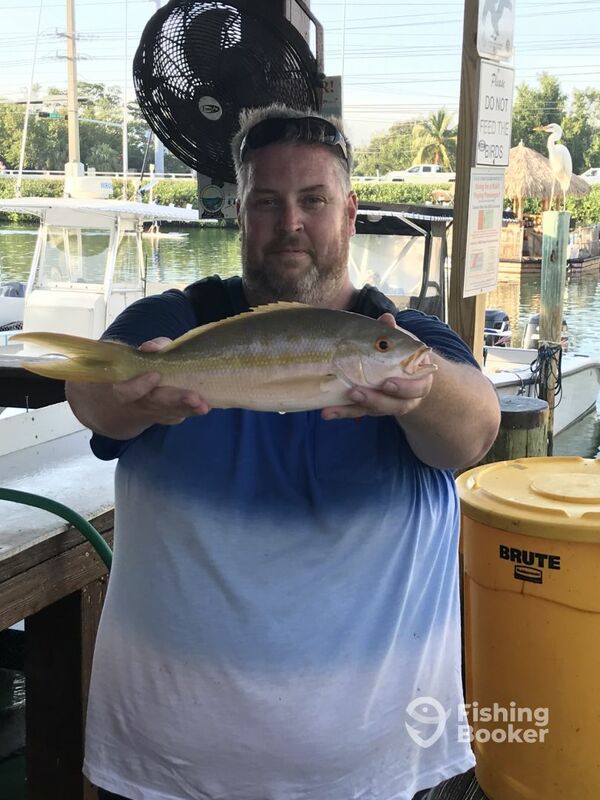 From there we fished a wreck and everybody got some nice snappers, my daughter caught a nice yellow tail jack, and we had a few cut offs. All together really good action. We moved to try another spot with similar action. 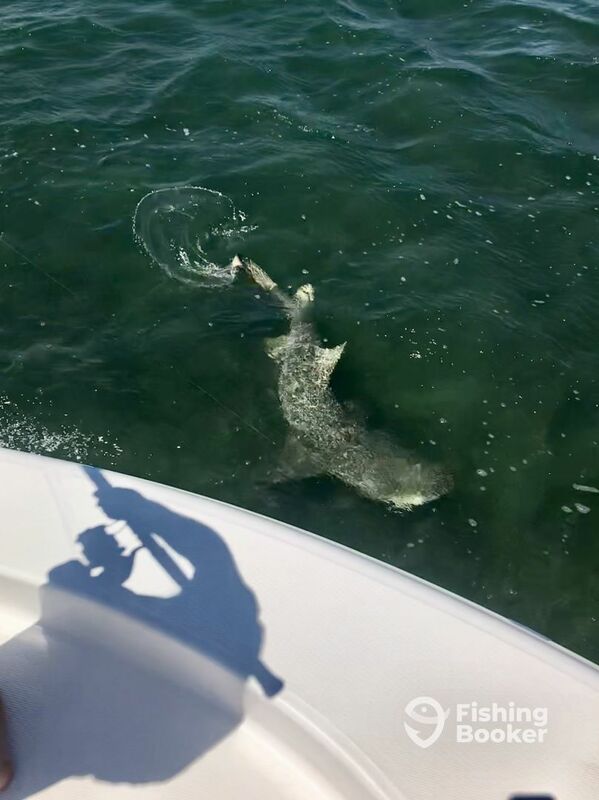 Captain Chris knew I wanted to put my son on son heavy action so he brought us to his shark spot and within minutes we had four sharks around the boat. After some coaxing he hooked into the big one and my boy was in for a fight. 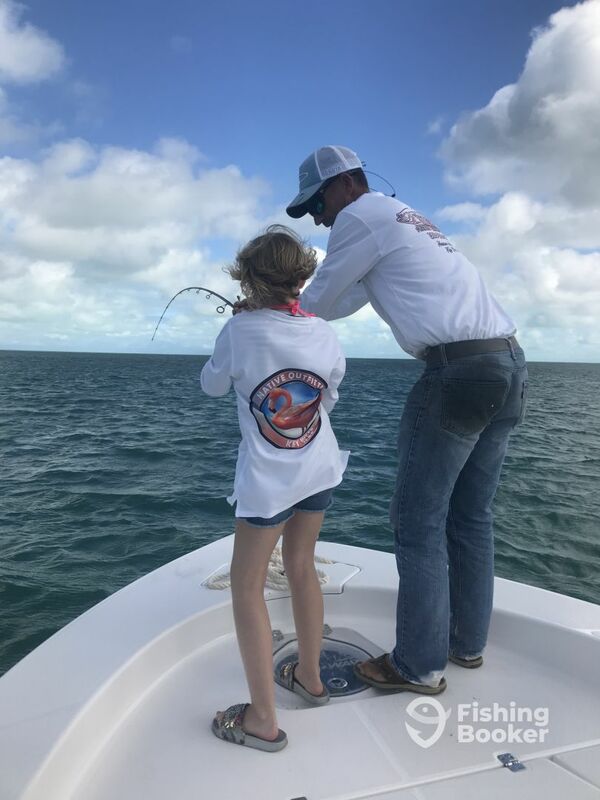 Captain Chris did a great job, was fantastic with the kids, helped my daughter fish so I could fish, and even picked us up and dropped us off at our cruise ship. This is a Class A outfit who goes over and above for their customers. 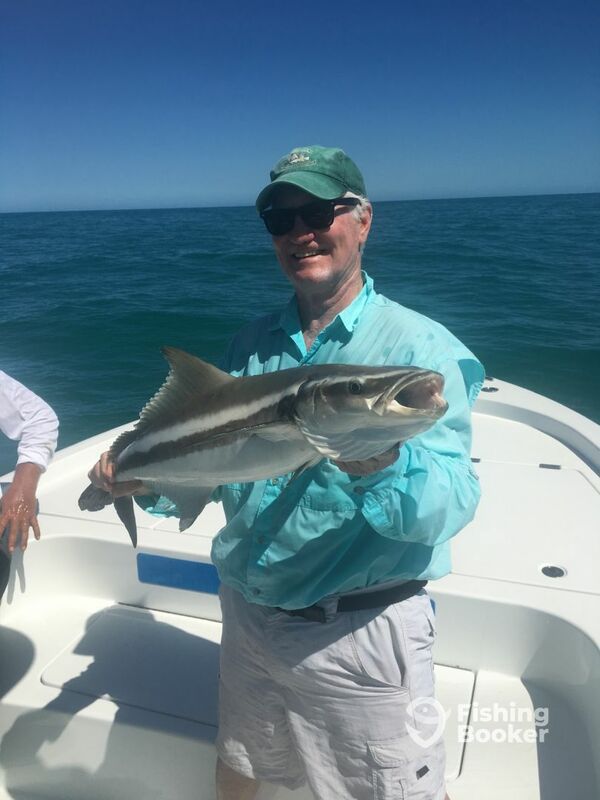 I am a S. Florida native and an avid fisherman and I highly recommend Reel Easy Charters! Thanks for the great review scott. Being a frequent fisherman using Charters, I thought I’d give Captain John a try. First, the boat and tackle were in top shape. Captain John was very friendly and took us out to one of his spots. It took 90 seconds before we had dinner in the boat. 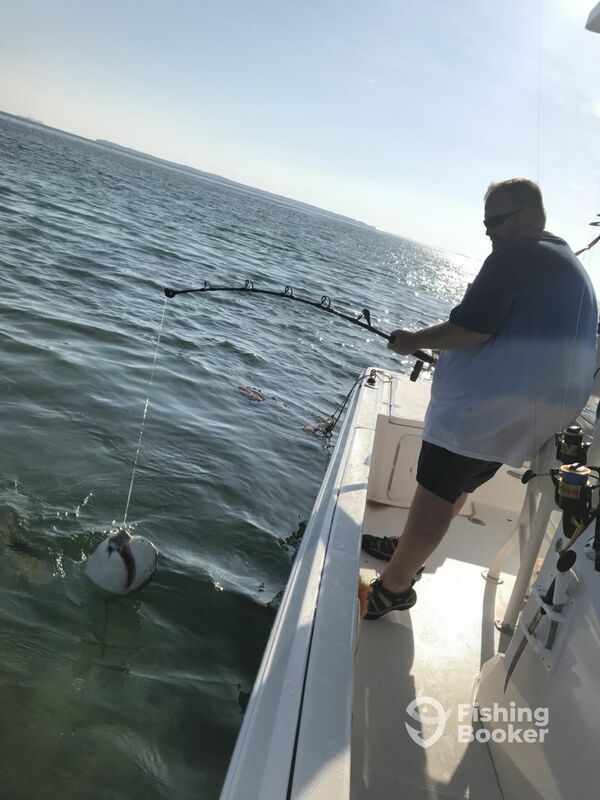 We caught eleven species of fish ranging from reef fish, Cobia, Grouper, Spanish Markeral and a few 250 lbs sharks that had a range of 5-8 feet long. The Captain was attentive and had 4 different types of poles in the water. There was never a lull in action. A true professional who grew up in the area, a pleasure to fish with and I would recommend him to any fishing party. Great 1/2 day solo trip on the water with Captain Stephen. 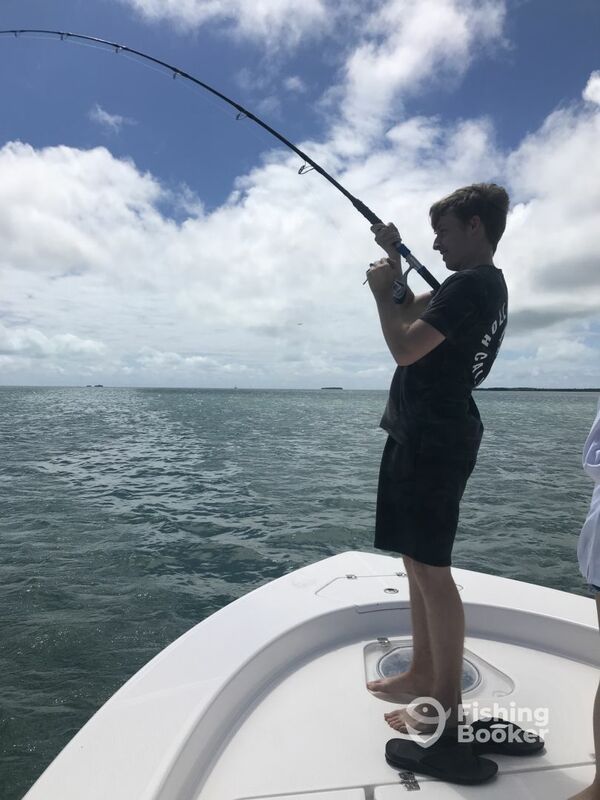 5th Generation native to Key West, he knows the waters very well and had all the gear we needed and had 4-5 lines running the whole time. 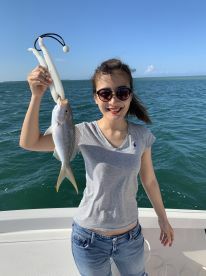 I pulled in 8 snappers, mostly yellowtail, and we went to check out some sharks! 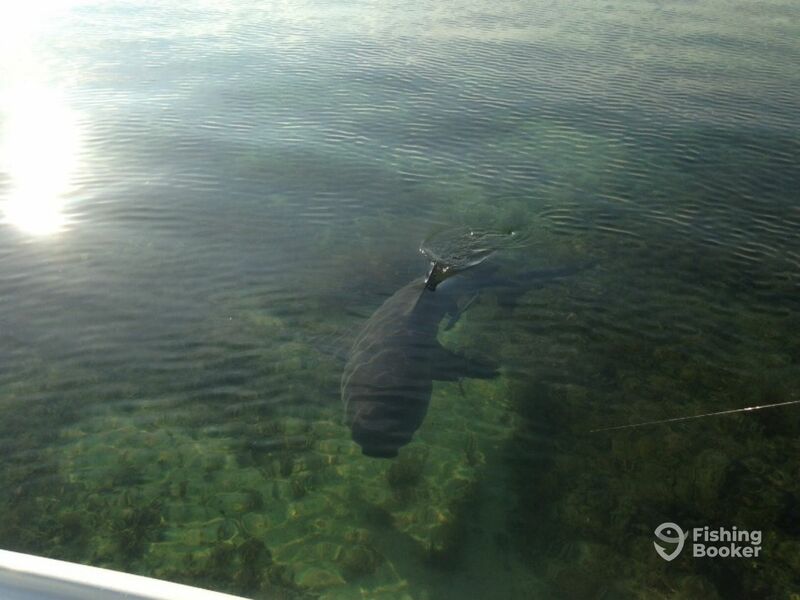 I even managed to pull a lemon shark up to the boat! We had some laughs, he then cut up my catch into some nice filets and I walked them over to the restaurant and they fired them up for me. From boat to throat! A great time on the water, I will certainly reach out to Steve when I’m back in town again! We had a great day fishing out of Key West. The captain was ready to go a few minutes early. The first stop brought in a variety of fish including some small snapper that we kept for dinner and some nice fighting amberjack. 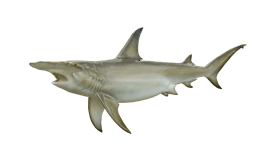 The second stop yielded a small bonnet shark. The third spot brought up 4 nice size shark in view. 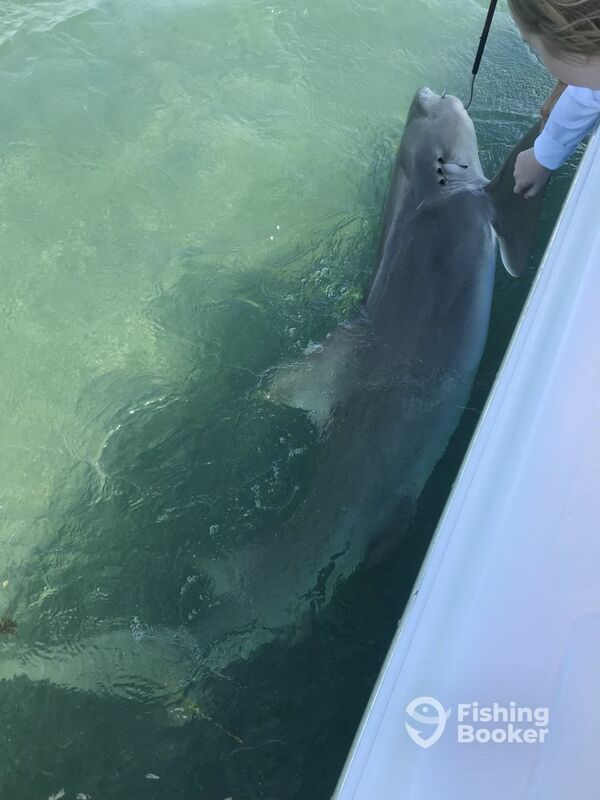 We caught 1 lemon shark about 6 ft long twice and a bull shark that was bigger. It was a lot of fun especially for my brother in law who had not been salt water fishing before. The captain took care of everything and we just had fun fishing. 1/2 day - excellent time..
Great trip with captain Jaredl. We were on fish immediately. It was a bit windy and and only a four hour trip so we stayed close. 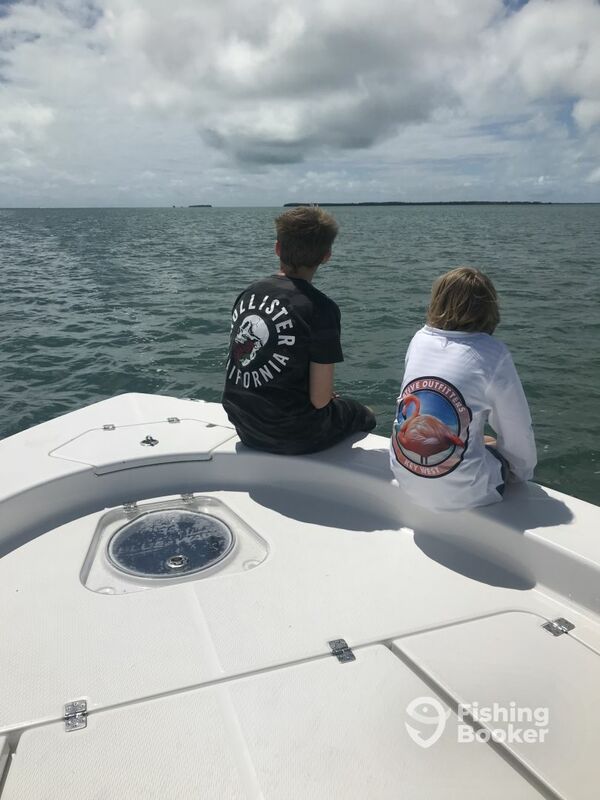 He asked what we wanted to target and we didn’t have a specific “in season” We caught jacks, barracuda,small grouper as well as a few others. The highlight was hooking up 3 times to Black tips. We moved often to find fish and to track down the sharks on the line. Very experienced and knowledgeable. Highly recommend and will be back again!! !